The heroic Ajit Pai, appointed by Trump as Chairman of the FEC, has been the target of dozens of violent threats. His family has also been threatened. 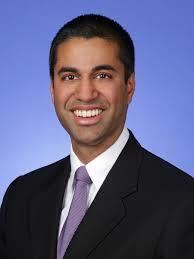 At the very meeting of the FCC in which Pai and the other two Republican FCC commissioners outvoted the 2 Democratic FCC commissioners to overturn the “neutrality” rule, death threats and bomb threats briefly stopped the vote. Now Chairman Pai has cancelled next week’s speech before the international CES electronics-industry conference in Las Vegas. There are reports that death threats by fanatical government trusters are behind the decision.